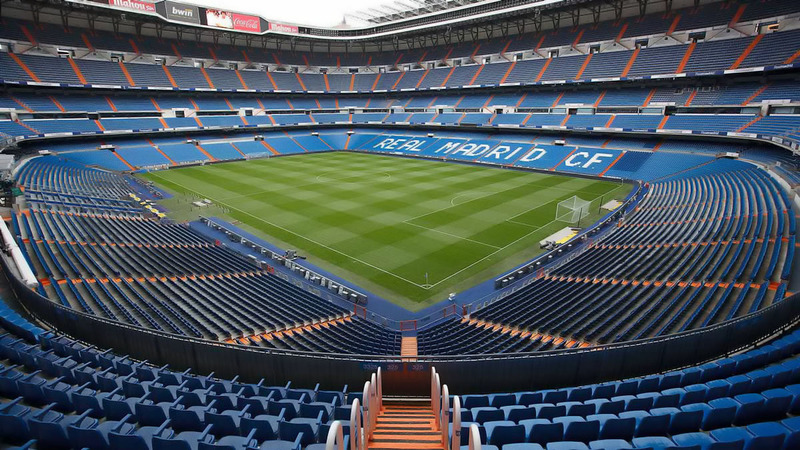 Explore the history of Real Madrid at the club's breathtaking Bernabéu Stadium. Admire cups won by Real Madrid throughout their history and experience a uniqe atmosphere. Real Madrid is the most important club in the world. Ferenc Puskás, Alfredo Di Stéfano, Hugo Sánchez, Zinédine Zidane, Fabio Cannavaro, Ronaldo Luís Nazário de Lima, or Cristiano Ronaldo: and this is a small part of the champions who have played at the legendary Bernabéu Stadium. Don't miss the opportunity to learn more about the history of famous Real Madrid players and their stadium. Not just Real Madrid history: this "football theater" hosted crucial matches such as the 1982 World Cup final, and four European Cup finals. During this self-guided tour, you can admire cups won by Real Madrid throughout their history in the Trophy Room. Don't miss the opportunity to stroll around the pitch and experience a real Bernabéu stadium atmosphere. But this isn't over: you get a chance to stay in the coaching area and put yourself in Julen Lopetegui's shoes. You can also cross the player's tunnel, close your eyes and imagine to get you ready for an important match against FC Barcelona or Atlético de Madrid, Blancos historic enemies. The tour includes also the press room, the dressing rooms, and the world-famous Presidential Box. At the end of the tour, you can buy a souvenir at the Official Real Madrid Store and remember forever an unforgettable day for all the football fans. According to the schedule of matches, training sessions or special events RM reserves the right to change the schedule, routes or close part of the museum tour. Please be informed before the visit. Monday to Saturday: 10:00 am to 7:00 pm; Sundays and Holidays: 10:30 am to 6:30 pm. On Match Days the tour will be open until 5 hours before the kick-off, with no access to dressing rooms. •	Entrance to Bernabeu Tour. •	Lunch, beverages or other services not specified above.